Easy Pan Seared Grouper with Gremolata is a light, healthy, easy and most important, delicious answer to the age-old question, what’s for dinner? 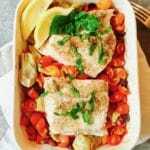 Easy Pan Seared Grouper with Gremolata is a colorful and flavorful entree which only takes ten minutes to prepare. It’s a perfect choice for a quick weeknight dinner but is also a dish you would be proud to serve to guests. 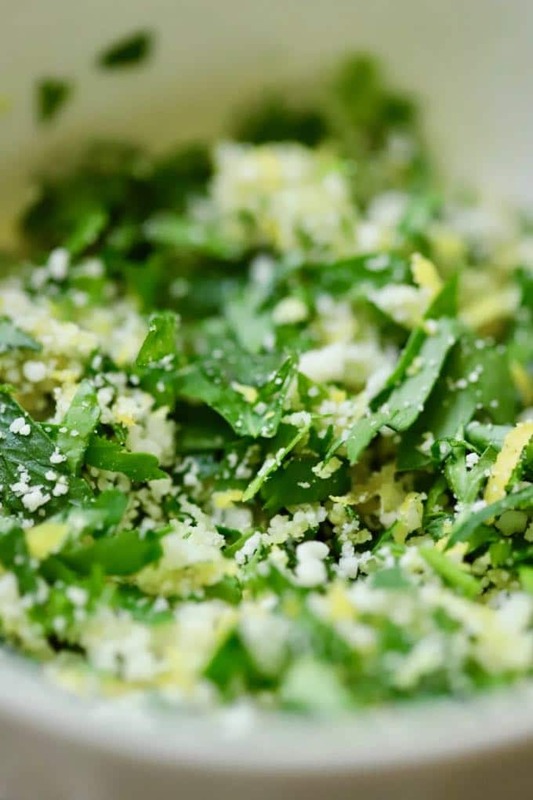 Gremolata, a cross between a condiment and garnish, is simply a combination of fresh parsley, garlic, and lemon zest. I added just a bit of parmesan cheese and olive oil to the mixture, and it brings a bright and fresh pop of flavor to the grouper. My husband and I both love grouper, and we have it often. It’s a popular fish in Florida and a member of the sea bass family. Red grouper, gag grouper, black grouper, and scamp are the most common types of grouper, and all have mild, white flesh with a firm texture which flakes easily when cooked. Grouper, as with most other fish, is low in calories, an important part of a healthy diet and provides high-quality protein and a wide variety of vitamins and minerals, including vitamins A and D, phosphorus, magnesium, iodine and omega-3 fatty acids. When buying fish look for a mild, fresh briny smell and avoid a strong fishy odor. Fillets should have firm flesh which should spring back when pressed. To keep your fish fresh, if you are shopping at a grocery store or seafood market, buy it last, take it directly home, refrigerate and cook it within 24 hours. In general, you should plan to purchase about one-half pound of fish fillets for each adult you will be serving. So, if feeding four adults you will need four 6-8 oz fillets. 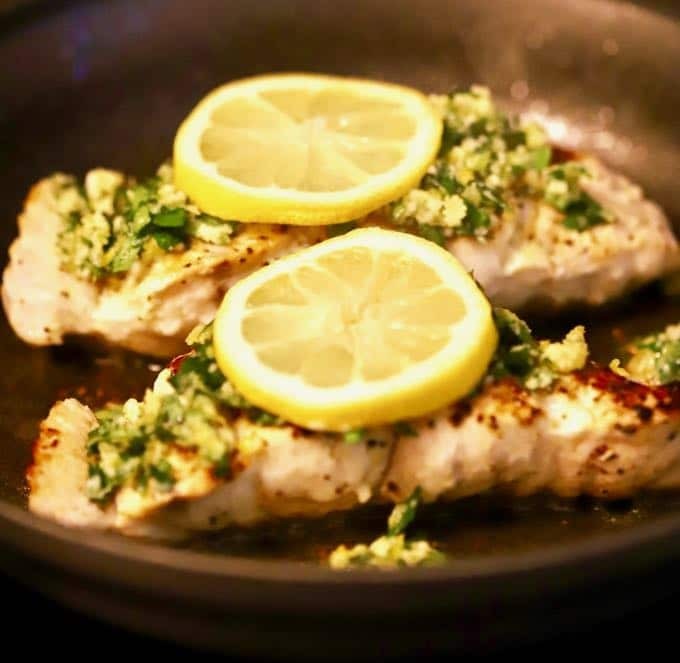 The ingredients for Easy Pan Seared Grouper with Gremolata include fresh grouper fillets, fresh parsley, lemons, garlic, olive oil, parmesan cheese, kosher salt, and ground black pepper. 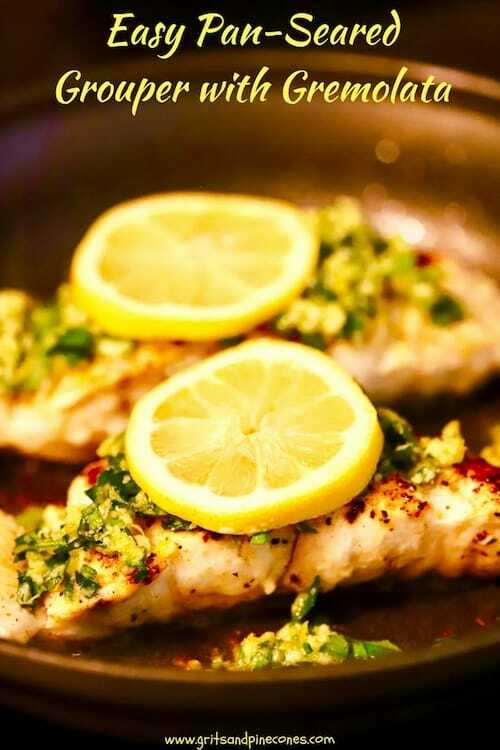 You can substitute another firm white fish such as halibut, Mahi Mahi, sea bass, or red snapper for the grouper. 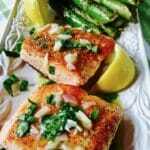 If you like this recipe, you might also like these quick and easy fish recipes: Easy Pan Seared Salmon with Asparagus, Baked Grouper with Tomatoes and Artichokes, or Easy Baked Parmesan Grouper Fillets. 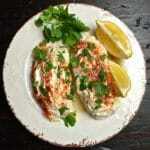 Need more ideas, check out all of my seafood recipes here. 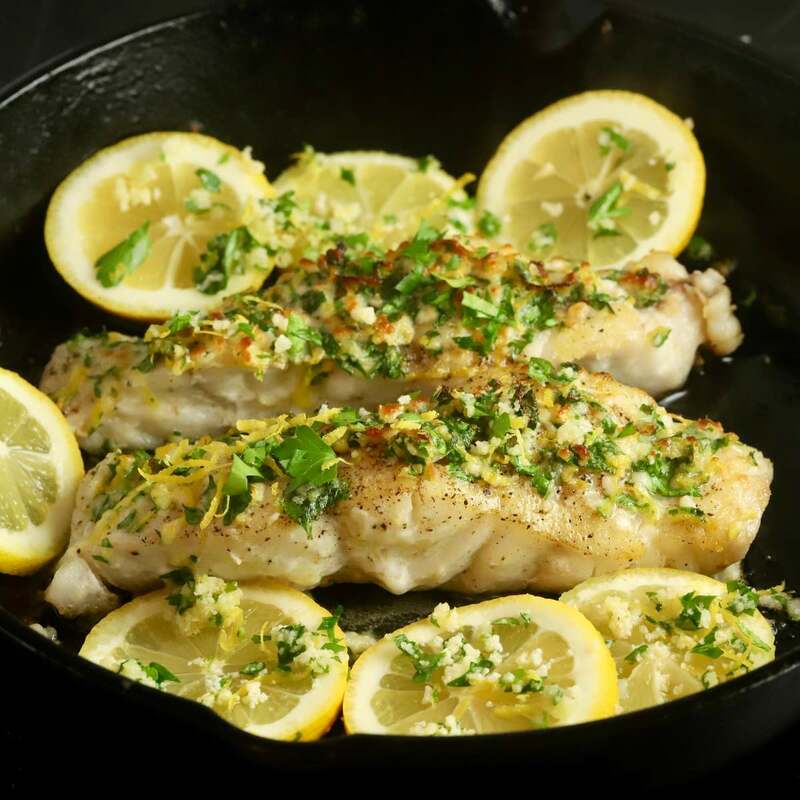 To prepare Easy Pan Seared Grouper with Gremolata, gather your ingredients and preheat the oven to 375 degrees. 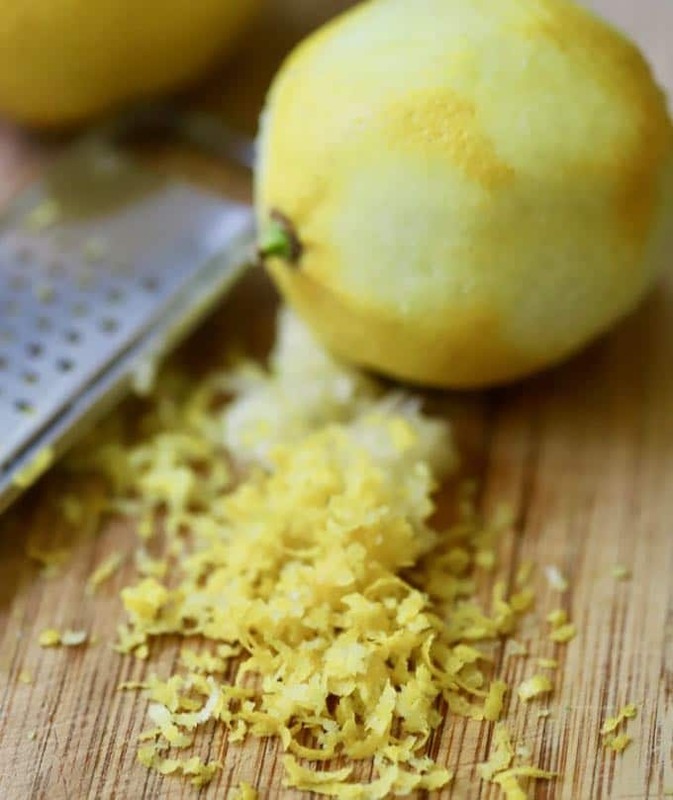 To make the gremolata, zest the lemon. Rinse the fillets and pat them dry with a paper towel. 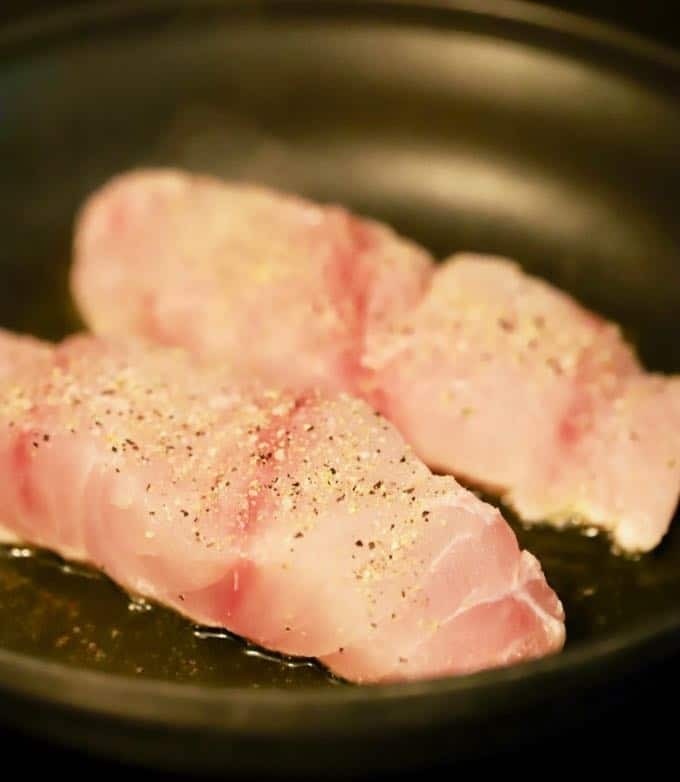 To cook the fish, add the remaining tablespoon of olive oil to a large non-stick saute pan over medium heat. While the pan heats, season both sides of the fillets with salt and pepper. Add the fillets to the pan and cook for three minutes on each side. Remove the pan from the heat and top each fillet with the gremolata mixture. Place the pan in the oven to finish cooking for 4-5 more minutes. The fish is done when it becomes opaque and flakes easily with a fork. Garnish with lemon slices (optional) and serve immediately. 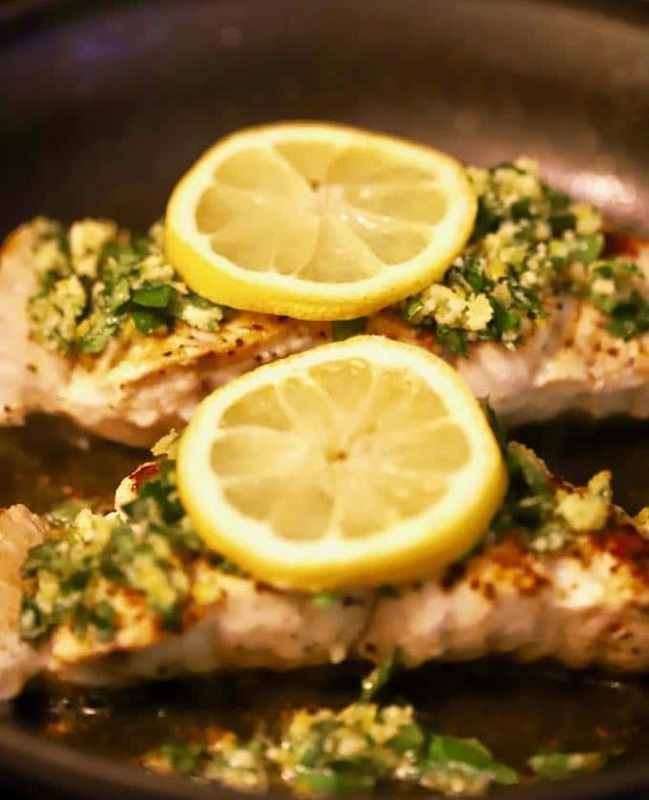 Easy Pan Seared Grouper with Gremolata is a light, healthy, low calorie and flavorful fish entree topped with parsley, lemon zest garlic, and parmesan cheese. To cook the fish, add the remaining tablespoon of olive oil to a large non-stick sauté pan over medium heat. While the pan heats, season both sides of the fillets with salt and pepper. *These cooking times assume that your fillets are one-inch thick. If they are thicker or thinner they will need more or less cooking time. If they are 1/2 inch or less, they do not need the additional cooking time in the oven.